Storyline: In 1963, Frances "Baby" Houseman, a sweet daddy's girl, goes with her family to a resort in upstate New York's Catskill Mountains. Baby has grown up in privileged surroundings and all expect her to go on to college, join the Peace Corps and save the world before marrying a doctor, just like her father. 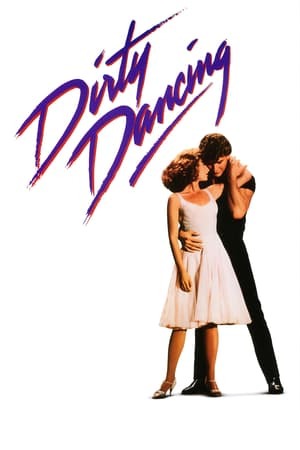 Unexpectedly, Baby becomes infatuated with the camp's dance instructor, Johnny Castle, a man whose background is vastly different from her own. Baby lies to her father to get money to pay for an illegal abortion for Johnny's dance partner. She then fills in as Johnny's dance partner and it is as he is teaching her the dance routine that they fall in love. It all comes apart when Johnny's friend falls seriously ill after her abortion and Baby gets her father, who saves the girl's life. He then learns what Baby has been up to, who with and worse - that he funded the illegal abortion. He bans his daughter from any further association with "those people". In the first deliberately willful action of her life, Baby later sneaks out to see Johnny - ostensibly to apologize for her father's rudeness - and ends up consummating her relationship with Johnny. A jealous fellow vacationer sees Baby sneaking out of Johnny's bungalow the next morning, and in an act of retribution, tells management that he is responsible for a theft the evening before, knowing he would not furnish his real whereabouts.